Find Your Luck at Damselfly! Enjoy savings of 30% or more at the Damselfly Hair Find Your Luck sale, going on from March 13 to 17th. 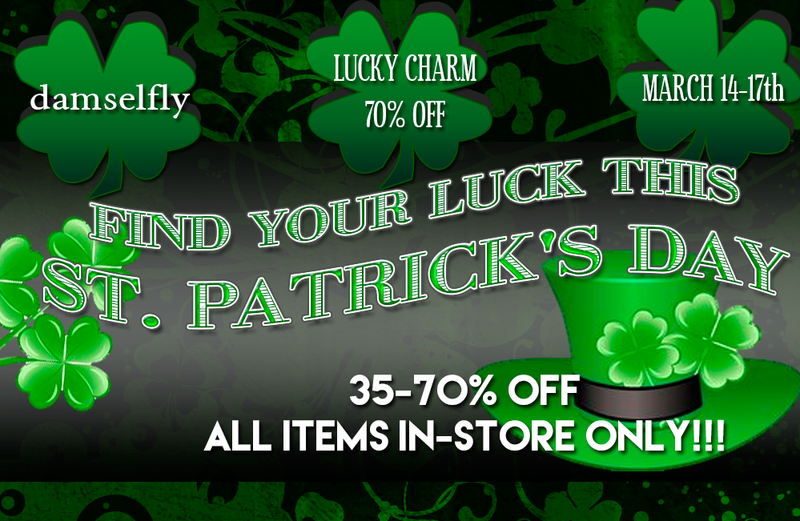 Find lucky clovers on hair that is priced 70% off and really find your luck. Original mesh and flexi hair for men and women, all priced at a discount for this sale! Find them all at the Damselfly main store! For four days only, Damselfly is going in the black to offer discounts of 30-70% on every single hair in our store—men’s and women’s, mesh and flexi, long and short. Cover your head with beauty at a big savings! TP to Damselfly Hair and enjoy big savings!